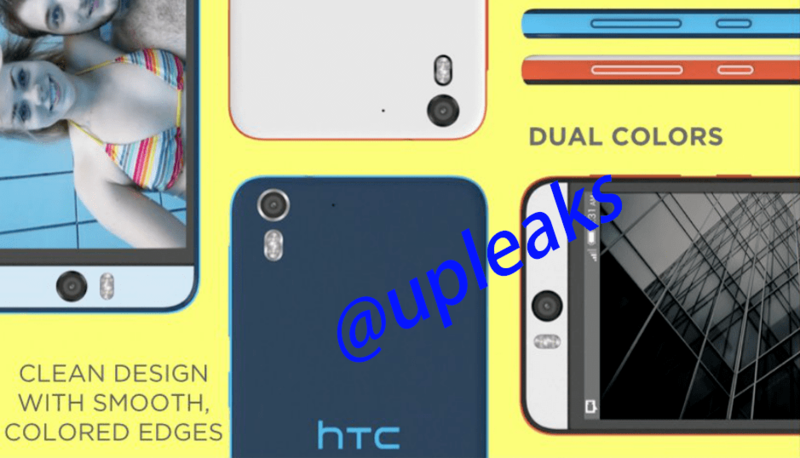 Day before yesterday we saw two leaked images of HTC Desire Eye that showed its front and back, and now comes leaked Desire Eye’s press shot that shows 13MP camera on front with dual-LED type flash. Its not something like Oppo’s N1 smartphone(rotatable camera) rather it would get 13MP camera with flash on both front and rear sides. That’s what “Eye” is for. Apart from this, @upleaks,being a reliable source, has also confirmed various technical specifications of this device. Avoiding duo camera in Desire series, HTC Desire Eye has quad-core Snapdragon 801 processor combined with 2GB RAM, 5.2″ 1080p display, clean design with different coloured edges, 32GB internal memory, IPX7 certification(for water resistivity), Sense 6 and all this running over 2,400mAh battery under its hood. 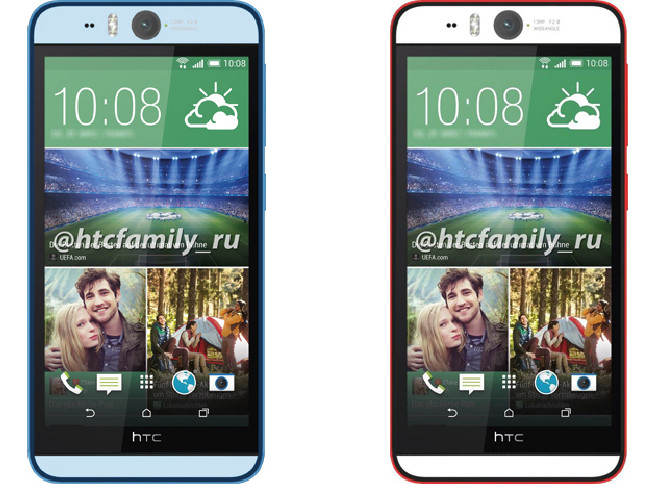 There also exist one HTC M8 eye with same design, same specs and updated 13MP duo camera on its rear body rumoured to launch on October 8th. One should also expect HTC ReCamera and this selfie specialised HTC Desire Eye to arrive on the very same date.